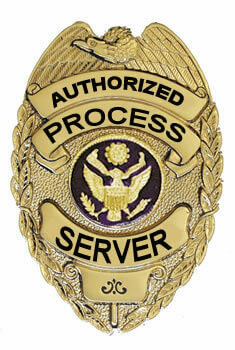 Need Process Servers in Phoenix? When you need a legal document handled, you need it done by a professional. At Gryphon Consulting, we provide quick, convenient, and efficient process service. With the delivery of documents as they pertain to Family, Civil, Small Claims, or even Criminal Courts, we ensure your documents are delivered promptly. Our Processes Service in Phoenix has our team delivering all legal documents including summons, complaints, writs, and subpoenas. If you need a response from an individual for a court, tribunal, or other government body proceeding, you may need the assistance of a Process Server. Enlisting one will ensure the appropriate legal documentation is sent to the correct party, without hassle. Whether the document needs to be served personally or can be signed for by someone of legal age, our Process Servers will deliver the necessary documents to the residential or employment address of the intended party. The Process Servers at Gryphon Consulting ensure that each document delivered is done so in the strict accordance of the law. Once delivered, we will provide proof that the documents have been served to the intended party. This is generally done through an Affidavit of Service, which is commissioned or notarized, before being given to the individual who requested the service. As a part of our services, we can also visit local courthouses in order to search court records for any requested documents. Our Process Servers can also go to local courthouses in order to issue additional documents or actions, and add information to a file. From copying documents, to further research, we have all of the tools and skills, to help. The services we offer apply to law offices, and individuals alike. We will make up to three attempts, and will not place any additional charges for mileage. With Gryphon Consulting, your legal documents are guaranteed to be served promptly, and professionally. Our Process Servers know that you need your time is important to you, but so are your legal documents. That is why you are getting the best delivery possible with our services. No matter how evasive the recipient may be, we have the power to track and serve anyone needing legal documents. We pride ourselves on completing all process serving requested in a precise, and ethical manner. Everything we do is to support our clients, and their will to resolve a legal matter. All applicable information related to our services will be properly documented and presented to the courts in detail. We have the resources and the reliability of over fifteen years of experience. By helping multiple clients, in various situations, we know how important it is to have apt results, in a timely fashion. Whether you are from a law firm who needs the best service for your client, or self-represented and looking for efficient service, contact us for your Process Serving needs. Doing so will put your mind at ease, knowing your documents will be secure, and properly delivered, without delay. Reaching out to the professionals at Gryphon Consulting is your first step in finding professional Processes Service in Phoenix. In addition to this service, we also specialize in DUI Consulting, Firearms Qualifications, Skip Tracing / Locating, and Domestic Investigations. For more information, contact us. We’re here to help you get the results you need!